On Sunday, October 8, 2017 between 3 and 8 pm, I will be sponsoring an Open House and Book Signing at my home located at 1336 Graffenburg Road; New Hartford, New York (second left turn off Sherman Drive across from MVCC campus). 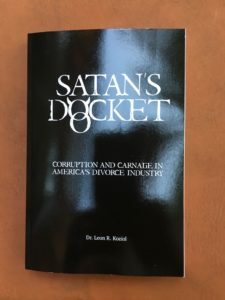 Its purpose is to orient people and purchasers to some of the scenes featured in the book entitled, Satan’s Docket: Corruption and Carnage in America’s Divorce Industry. Although the manuscript was completed only last month after nine months of research and writing, I have decided on an early release due to the Oneida County Family Judge race which is devoid of the real issues confronting moms, dads, children and families in these courts. Book store purchases will not be available until after election day. A half page advertisement explains it at page 3B of the (Utica) Observer Dispatch on-line now and in the print version of Thursday, October 5, 2017. With a copy of that ad or mention of the on-line version will get you a $10 discount off the $30 price. If you cannot make it, you can purchase a copy on the Satan’s Docket Page of the Parenting Rights Institute website, www.parentingrightsinstitute.com. You can also send a check or money order to the author at P.O. Box 8302; Utica, New York 13505. Tax, shipping and handling are included with a copy sent to your return address in 5 to 10 business days. Come and share your ordeals with other parents and learn a lot from this valuable book. It explains how these courts truly work, how it is structured to bankrupt entire families and businesses in the so-called “best interests” of our children. It is crucial for all Americans to take action against an epidemic which is causing escalating violence, immorality and crime everywhere. 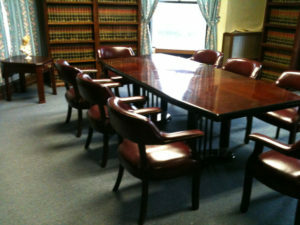 For additional info and directions call me personally at (315) 796-4000.